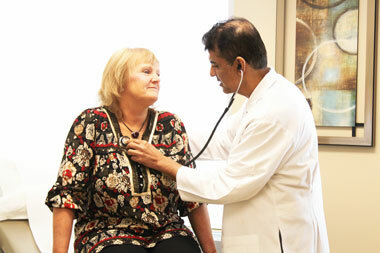 Welcome to Memorial Katy Cardiology Associates! Welcome to Memorial Katy Cardiology Associates, a consortium of Cardiovascular & Peripheral Vascular Disease Specialists serving the Greater West Houston area since 1975. Our group was founded in 1975 by Dr. Otto Papp and has since grown to consist of seven physicians and three practitioners. Our service area has expanded over the years which now encompasses Katy, Sealy, and Fulshear. In fact, our group was the first to open a cardiology practice in Katy, and our practice is now the largest single group of cardiologists in the Katy area. We remain committed to delivering the highest quality cardiology services to West Houston and the surrounding rural area. Approximately 8 years ago we started using the electronic medical record (EMR) eClinicalWorks. This system has allowed our physicians to review their patient’s information efficiently and quickly to further improve the level of care they provide. It also allows our office to send prescriptions directly to the pharmacy electronically, send reports directly to primary care physicians from the record, communicate with our patients electronically if they use the new Patient Portal, and remotely access information when emergent issues arise. 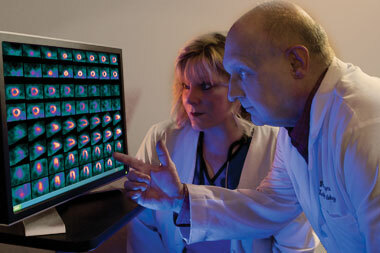 In addition to the EMR, we also improved our diagnostic imaging substantially with the addition of cardiac PET (positron emission tomography). This new test allows our physicians to diagnose heart disease much more accurately than previously possible with the older nuclear stress test called SPECT. We do still offer SPECT testing for patients whose insurance or diagnosis does not cover or warrant PET testing. Currently, our office is one of only 3 in the Houston area with this technology, and have joined the ranks of the top ten cardiac hospitals in the country by offering it. Over the last few years, we have been able to utilize more remote technology to monitor our patients wherever they are and when they experience symptoms, not just while in our office. We were one of the first offices in West Houston to start using remote event monitors that patients can wear for up to 21 days, while remotely transmitting the data to us within 10 minutes when necessary. Also, the defibrillators (ICD’s) and some pacemaker models that are used now allow our doctors to “interrogate” the device regularly from patient’s homes, which saves a lot of time and effort coming to our office for these regular check-ups. In 2008, we achieved ICAEL and ICANLaccreditation for our nuclear imaging and echocardiography departments, which proves to our patients and referring providers that we are keeping our patient’s care as our number one priority. Our physicians have privileges at Memorial Hermann Memorial City Hospital, Methodist West Houston Hospital, and Memorial Hermann Katy Hospital.